Experience exceptional call quality, maximum system scalability and an array of business phone services over our highly reliable, global IP network with VoIP Technology. Our experts will help you gain the right business IP Telephone services that keep your company and customers connected: round-the-clock, locally and remotely. Make your transition today to a new world of Voice over IP productivity: efficient, economical, and collaborative with a customized virtual PBX telephone system. A reliable, cost-effective solution to providing local voice services for one or many locations, BroadConnect’s services include a variety of productivity-enhancing features. From call forwarding, call waiting and three-way calling to enhanced voicemail, you can count on BroadConnect to deliver the best VoIP business phone service at highly competitive rates. Go global with our toll-free phone numbers and let your customers reach your from over 75 countries worldwide. Customise your services for geographical regions with our economical services that are a significantly less than what you are paying now for toll-free services. You easily add additional lines as your company expands. We offer one of the lowest flat rate charge for all long distance calls in North America, 24hrs a day, seven days a week. You will save up to 50% on phone charges with our business phone plans without any reduction in voice or service quality backed by one of the largest private networks in Canada. Never miss a call and enjoy crystal-clear voice service from one of Canada’s most sophisticated and reliable telecommunications companies. BroadConnect provides full fraud protection and proactive monitoring for VoIP business line customers. Many businesses are targeted by unauthorised third parties resulting in large and illegal charges to their company. BroadConnect is committed to protecting your company from long distance fraud with our resources. Make your transition to a new world of communication: affordable, reliable, and scalable with a customised VoIP telephone system from BroadConnect that includes sophisticated cloud-based services, like a virtual Call Center. BroadConnect provides small to large businesses with highly customised premise-based IP-PBX solutions. We are one of the few Platinum Avaya Channel Partners in Canada as well as leading among SIP providers in the emerging voice, data, and multimedia technologies for a wide array of IP PBX brands. BroadConnect’s expert engineering team can design and implement some of the most challenging and complex multi-line business phone systems customers require. BroadConnect’s innovative faxing system allows you send and receive faxes anywhere and anytime. No paper, no toner, no equipment to maintain or service, and as simple as writing an email, our fax to email service will reduce your phone cost and you will not need a dedicated fax line. 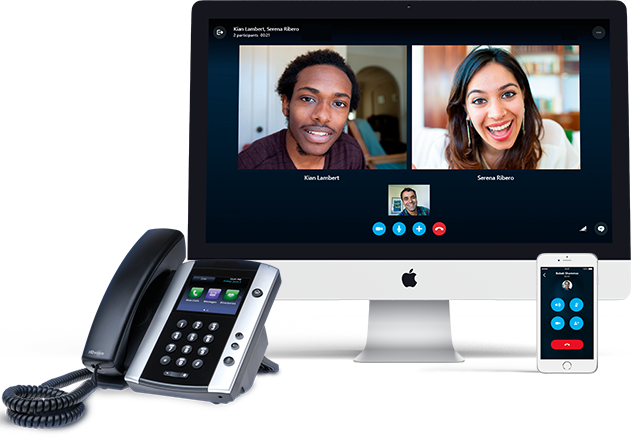 It is business VoIP phone services such as these that can really make a difference. We deliver economical and fully scalable services to our customers with proactive technical monitoring and bundled services, monitored by a dedicated Network Operation Centre 24/7, year round. Packages range from eight to 23 channels allowing your service to meet increased service demands quickly and affordably. Our reliable and secure network serves you from coast to coast, spanning over 20,000 kilometres. With 99.999% uptime and crystal-clear voice quality, IP Telephony services rank as the most sophisticated and state-of-the-art phone systems. This is what makes us one of the best business phone service providers for reliability in Canada.